It was a gorgeous semi-cloudy morning up here on the North Shore. The sandbar was brilliantly showing off it's million blue shades. 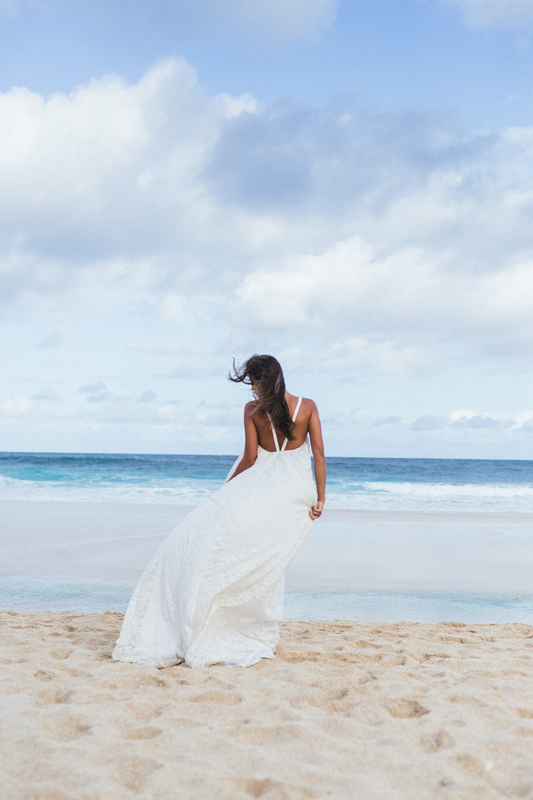 The sea breeze was pretty strong, blowing the fabric of my Malia gown in the loveliest of ways. Huge thanks to Corinne of What A Day! Photography for capturing every perfect moment.